Con you believe it? 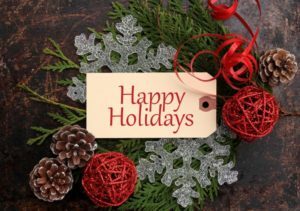 It seems like yesterday that you were ringing in the New Year, and in the blink of an eye, you’re once again preparing for another fun-filled holiday season. That means there will be tons of delicious treats just waiting on you to indulge. Your family dentist in Frisco reminds you, though, to be mindful of your oral health. Is that possible? Continue reading to discover how to protect your mouth, teeth and gums while still enjoying the season’s delights! The primary threat that holiday treats pose for your oral health is bacteria accumulation. This is because most of the foods you love are laden with starches and different types of sugars – the main ingredients that bacteria love to feed on. Only eat your favorite treats at certain times of the day. If you typically consume more than one serving of food, determine what your limit will be this year. Eat slower to allow your brain time to communicate with your stomach to give the feeling of satiation. These three tips are important because part of protecting your oral health is controlling the amount of cavity-causing ingredients you consume. Along with setting a food intake budget, be sure to drink plenty of water. Not only does it aid in digestion, but it also bathes your teeth to help in removing leftover debris from your last meal. Another way to protect your mouth, teeth and gums is to practice excellent oral hygiene. Again, the worse part of eating sugary foods is failing to remove their caustic remnants from your teeth. Toothbrush – The backbone of your oral hygiene routine is your toothbrush. The agitating motion it generates will dislodge food from your teeth. Toothpaste – Look for toothpaste that has the American Dental Association (ADA) seal of approval, which also ensures that it has the necessary amount of fluoride to fortify your enamel (the hard, outer part of your teeth). Dental Floss – Using dental floss is just as important as brushing your teeth. It allows you to get into the hard-to-reach places to remove any lingering particles. Mouthwash – If you’re on the go and can’t carry out your normal oral hygiene routine, then rinsing with mouthwash will at least bathe your teeth to loosen and remove debris. Chewing Gum – Another way to stimulate moisture when you’re on the go is to chew gum after a meal. Like mouthwash, it serves as a temporary stand-in until you brush and floss. A final way to support your oral health over the holidays is to visit your dentist for preventive care. You’ll benefit from a thorough cleaning, an expert examination, and your dentist will also share more tips on how to prevent tooth decay over the holidays. So before the season’s festivities get started, reach out to schedule a visit with your dentist today! Dr. Brett Amedro earned his DDS degree from the University of Michigan, and he then went on to receive advanced training in a multitude of areas, which allows him to provide his patients with comprehensive and competent care. Dr. Amedro practices at Ten Mile Dental, and he can be reached for more information through his website.